He was, and still is, one of the best black and white artists Australia has ever seen. Even today, decades after his passing, people hold his work up as being the standard to aspire to, both in execution and sheer artistic ability. Stan Cross was totally unique and his humour was unsurpassed. 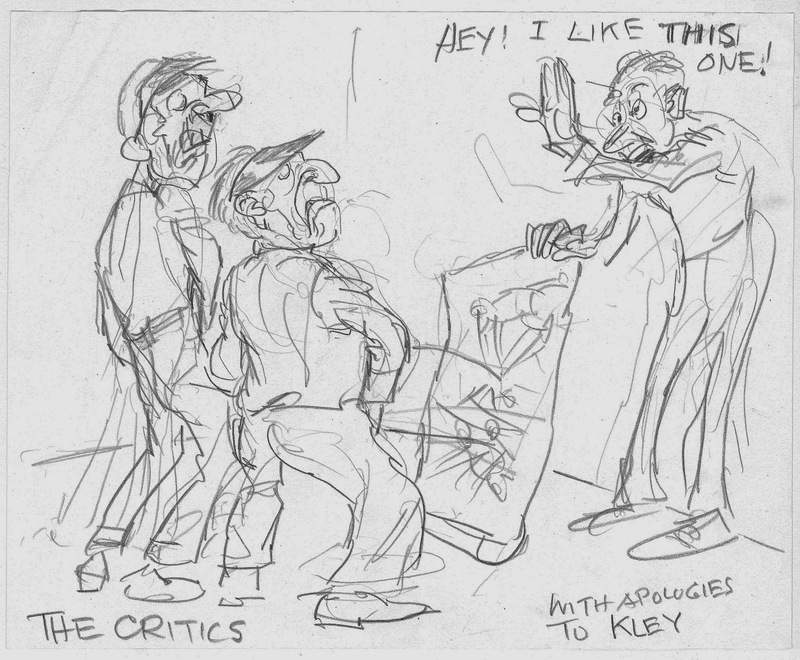 I'll be blogging a lot more about Stan over the coming year, but, for now, here's a teaser of what's to come, an unpublished sketch showing how Stan viewed the critics. God love you Stan Cross!